How do you even describe the film “Birdman” to someone? I guess you can tell them it’s a black comedy about a former super hero movie actor who tries to reinvent himself as the writer, director, and star of a Broadway play while going through the wackiest midlife crisis imaginable. Oh and the guy who plays the former super hero movie actor is played by none other than former super hero movie actor Michael Keaton. And did I mention the film is gloriously shot to simulate taking place in one single, unbroken take. Think “Rope” meets “Death of a Salesman” meets “Noises Off!” If that isn’t the weirdest combination of movies imaginable I don’t know what is. In other words, “Birdman” is a triumph; it’s an entertaining, perfectly executed cinematic achievement with outstanding performances from its wonderful ensemble and mind blowingly amazing camerawork. Michael Keaton is Riggan. Decades earlier he had played the title character Birdman in three Blockbuster films. But in his current form he’s just a washed up actor. Though he still has fans coming up to him on the street asking for photos and autographs. He’s plan for a career revival is writing and directing a Broadway play and starring in it as well. His friend/lawyer Jake (Zach Galifianakis) is producing the show. And the play also stars first time Broadway actress Lesley (Noami Watts channeling her "Mulholland Drive" character a tad), Laura (Andrea Riseborough), and last minute replacement and cocky Mike (a delightfully loose Edward Norton). There’s also Riggan’s daughter/personal assistant Sam (Emma Stone) who happens to be a recovering drug addict. The film follows Riggan in and around the theater during the last few days of previews before opening night including bizarre talks with his former Birdman persona. What seems like a simple story is anything but as director Alejandro González Iñárritu, known for such dramas as "21 Grams" and "Babel," has decided to shot the film as if it were done in one single unbroken take. There is some digital editing trickery going on here to the watchful eye, but otherwise the film is chock full of long unbroken takes that are simply stunning to watch. It almost makes you feel as if you’re watching a play, and yet the film never feels stagey or stagnant. It’s wholly cinematic. And let’s not forget the utterly crazy good script with hilarious dialogue. It’s a scathing satire of Hollywood, celebrity, criticism, etc, which is certainly nothing new, but the craft here is impeccable. It feels like it was so expertly handled it’s as if Robert Altman came back from the grave to make it. And let’s not forget the amazing subtle aspects like, for instance, the minimalist drum score that goes from non-diegetic film score to source music within a single shot. 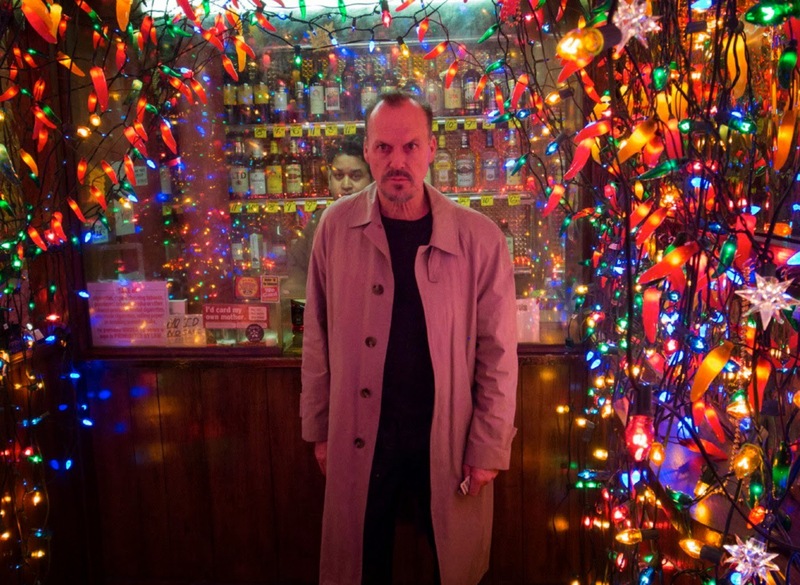 Teaser Trailer for Birdman on TrailerAddict.